Looking back, aside from the pounds added, what do 2018 got me? Life changing indeed when I started the year back to eating meat again after 3 years of being a herbivore. Giving up being a vegetarian never felt more liberating as I took back a lot of resistance on eating meat. Of course, what a best way to have it in my favorite ‘eating’ city, Bacolod, as I had a quick trip in January. Ending this month with a great conference on how we should build relationships that transform. February ticks as I decided to get back on my mat and gave back in to yoga. A quick trip to zone out with my Friday Group caps off this month. Celebrate successes when I got another promotion in my work. Who wouldn’t want to kick off Summer with a great trip to Bali, Indonesia? Amazing temples, food and sites are way too fabulous not to explore. Truly, Bali is a good idea especially if you have a villa that you can enjoy by yourself. April was when we organized my Lola’s 80th Luau Party. Successful indeed when it becomes another reunion for the clan. May was quick when one cousin got married. June started with a concert attended feeling blessed and even more blessed ending this month being one with the nature with a trip to Palawan. El Nido preserved it’s serene beach and wondrous islands where every tourist captures every scene with stars on their eyes. Ending July slash opening August with a trip all the way up north. Batanes is truly breathtaking that you can never describe unless you experience it. ‘Ang Huling El Bimbo’ was surely a hit as we watched the last show on their run in September. Catch their rerun this March 2019. The past three months had been very challenging. Grateful to thy Saviour for enduring every lesson to always trust in Him in every step. October is victory, claimed it! November always starts a rollercoaster of festivities celebrating the birth month being busy til the holiday season. Started a quick trip to Region 1. Then 3 countries bagged in a month. Hong Kong and Macau after birthday and ended the month in an abundant cities of Tokyo, Osaka, Kyoto and Nara, Japan. December will always be for holiday parties and Christmas get together. Hosting them is another story, always grateful for it. This will always be a perfect time to reunite with friends and family. I realized that a part of your Christmas bonus/13th month pay should be allocated to this besides the gifts you share. So what did 2018 got me? Yes, additional pounds (which is always included), 4 countries visited, with 2 local cities flown, struggles turned lessons and definitely a steadfast FAITH that will continue to grow. God uses our experiences because He always wants us in the position He wants us to be in. Thank you 2018 and always looking forward to what lies ahed. People would always ask how will you describe Batanes. Others will say how the pinned location says ‘Breathtaking Batanes’, but how was it to experience it? Batanes is the northernmost part of the Philippines. They are a group of islands situated around 190kms from Taiwan. Yes, that near, farther than driving Manila to Baguio. Ivatans, how locals from here are called, treasured their culture so much that they preserved the beauty and untouched-like creator’s wonders. Touching down Basco, which is the capital of this town where most homestay and accommodations are situated nearby. Batanes is such a breath of fresh air where each and every spot will truly exceed the expectation one way or another. ***Php 350 Environmental Fee to be collected to each tourist which serves as a passport to all spots in Batanes. *Lunch/Dinner option at Panda’s Wine and Grill. Their camote rolls are to die for. They are open for deliveries to your accommodation. ***30 minute boat ride from Batan via Ivana Port. *Lunch option by the beach and enjoy their own version of Pork Bagnet. ***Vakul and Kana-i, known Batanes costume for female and male respectively against strong weathers that hit the islands most of the times. 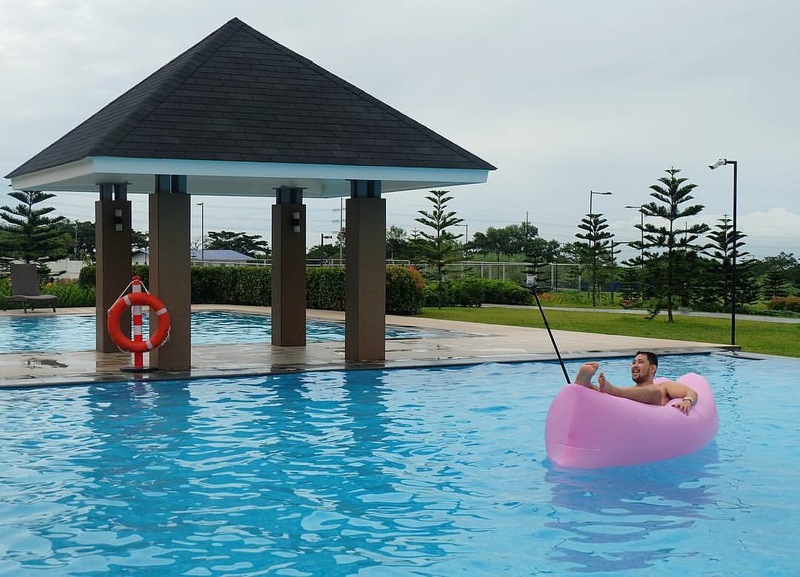 Rentals at Php 20 per person. *Lunch option at Paulvanna’s which serves really good food. Brunch at Cafe Du Tukon at Fundacion Pacita (a bit pricey but worth it) > Abad Street Market Shopping > Souvenir shopping at Tamsen > Bike tour around the city to experience the everyday lives of Ivatan. ***Bike rentals in Abad Street at Php 25 per hour. People who have been to Batanes will always say that you will be in love with it. Going back to the first question as to how to describe Batanes. As for me, no words can describe Batanes but to experience it. Pictures will not give justice. The naked eye cannot lie how each 360 degree view can be able to take your breath away and surely captivates your heart. Chanpan Tours arranged our tours and accommodation at a very reasonable price. It goes with a very informational tour guide slash a very creative photographer is highly recommended. Visit their Facebook page or contact them at 09088931475/09178574493. Philippine Airlines, Cebu Pacific, Skyjet and Airswift flies to and from Basco everyday. 2017 has been steady with a lot of revisiting. 2017 started with a month of tests of relationships for January. Yet with fasting, praying and worship events, capping it seeing Ms. Universe live, which may not happen in the next two generations. February had been sweet going thru a DIY retreat in Zambales with my DGroup. It was indeed a humbling experience submerging ourselves thru His word. March had another worship concert and graduating from GLC modules we are taking for discipleship. 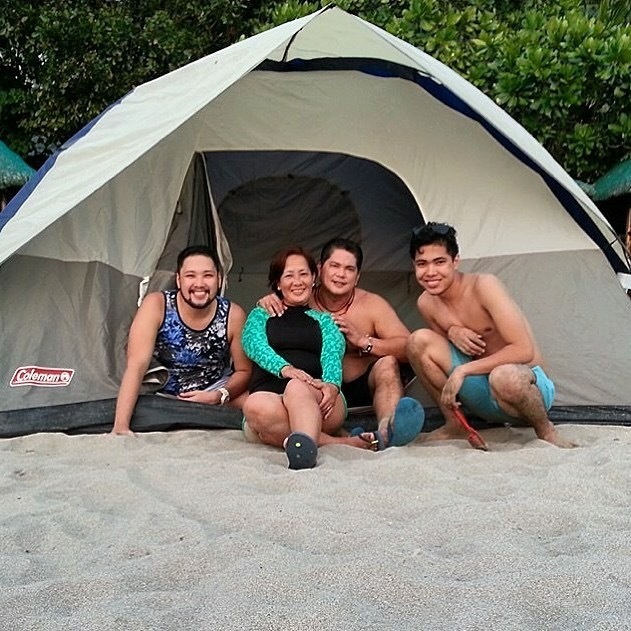 April kicked off with a summer getaway to Punta Fuego. More of a resting and recovering and ending the month revisiting Taiwan for the second time. How I missed eating and pigging out in this nation. May was another revisit in Singapore and Malaysia. It was a challenge traveling with 3 kids with 10 adults with 9 airport encounters in 96 hours. Generally, a no sleep yet a ticked off in my bucket list getting to 3 different countries in 24 hours. Ending the month with a day hike to Masungi appreciating the wonders of our Creator. June marked as we celebrate my brother’s graduation. Grateful to be of great help to be part of his journey in reaching this benchmark. July was another month of weddings and eating out. August was a month of catching up with friends with birthday celebrations here and there. September was when I started a new learned hobby of baking and loving it. 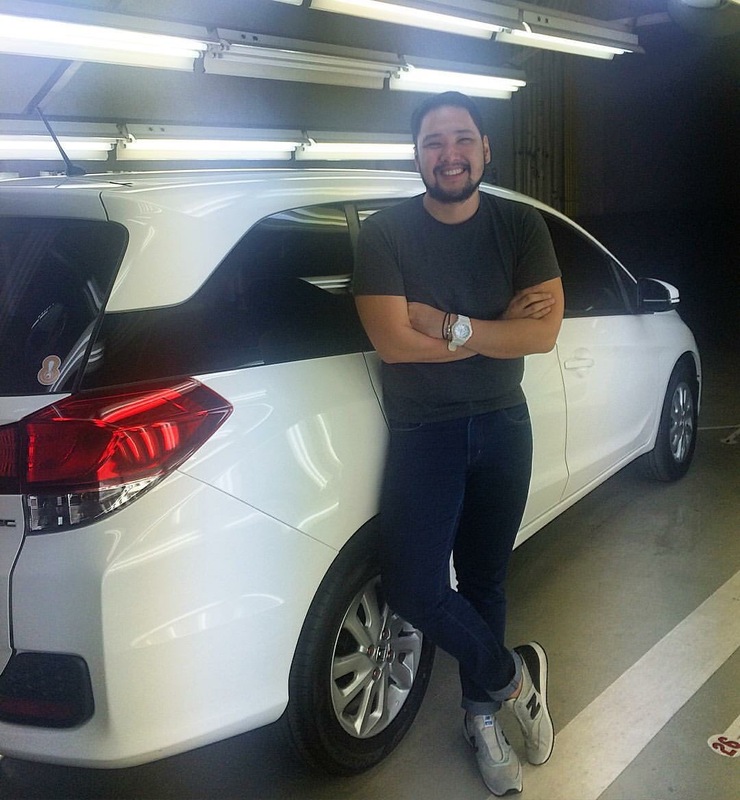 October had a long drive to Bolinao with my longest known friends as they went home together for Qatar and Abu Dhabi. In this month as well when I started joining a ministry which I know God can use me in His ways. Birthday month November is usually a roller coaster. Though with a failed birthday travel to Doha, it again opened hosting our company yearend party for the second year. It will always be a remarkable month celebrating my 30th. December is undoubtedly eventful. Parties and get together here and there and a revisit to Hong Kong for the third time. 2017 was an incredible year. It may remarked as steady but surely a part of who we are in our journeys. 3 countries in 24 hours. So how do you go about having a time constraint planned itinerary? Embrace it. We left Manila, Philippines at around 3:30pm due to a delayed flight and touched down Kuala Lumpur, Malaysia at around 8:00pm. Travelled by taxi to our pre-booked accommodation in Mercu Serviced Apartments which is like 8 minute walk to Petronas Twin Towers. We had dinner at a fastfood-like place called Pepita’s and went straight to the mesmerizing twin towers. Home at close to 12:00am for a quick freshen up and nap, shall I say, for us to leave at 2:00am for a 6:00am flight to our next destination. 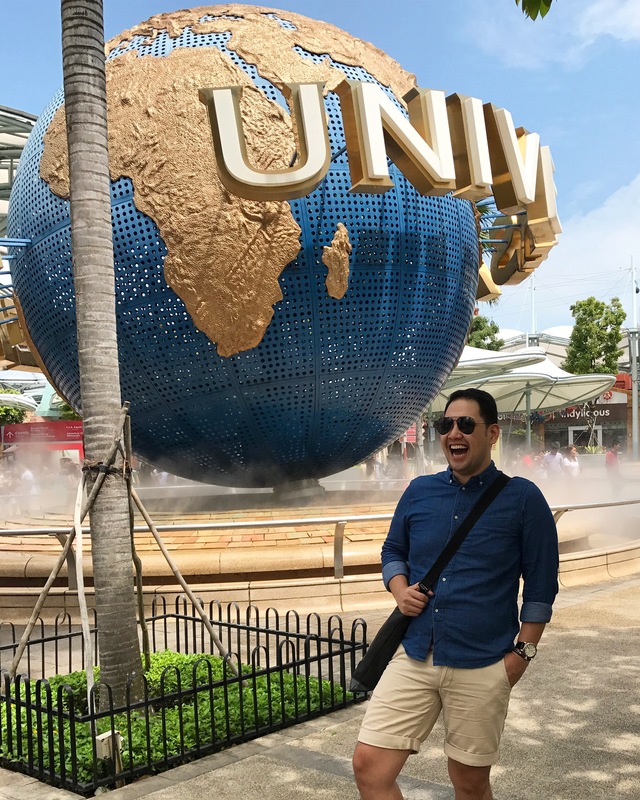 Almost an hour ride from the city to the airport, we flew to Singapore to experience Universal Studios for the third time. It still feels the same first time of being an excited kid riding the movies you’ve grown up with. Staying here quickly for just 27 hours but still managed to meet my friends and former workmates reminiscing the good old days. 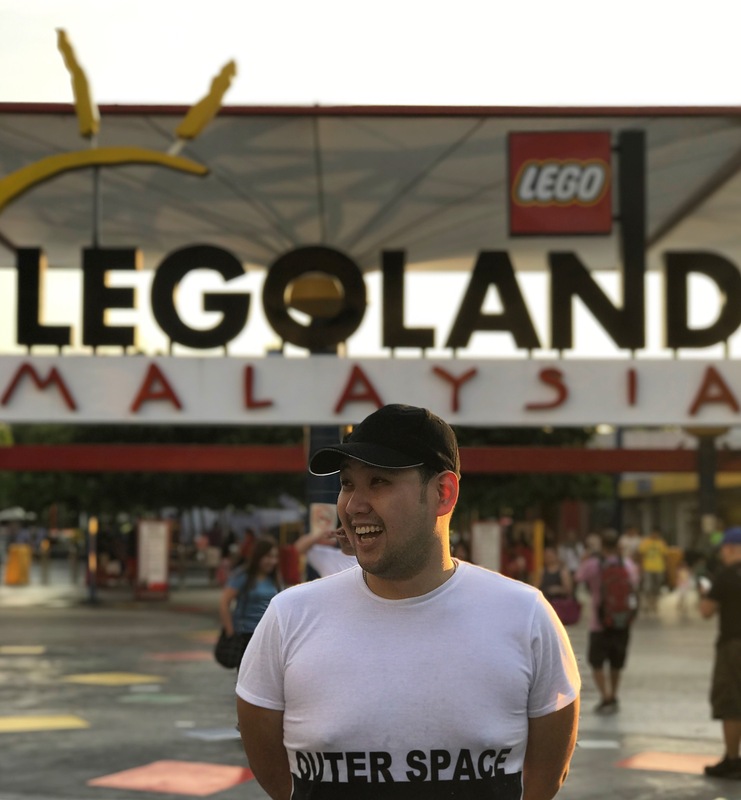 Adventure continues as we cross back to Malaysia, this time in Johor Bahru where Legoland is located. Due to horrible lines in the immigration, our time were constrained. Checked in to their themed hotel with its amazingly amenities almost all made with lego. Worth every penny especially if you are tagging along children with you. Short with time though to explore the theme park, good thing long rides line was avoided since less people were in. Swiftly after the buffet breakfast, we rented cabs to bring us to Senai Airport for an 11:00am flight back to Kuala Lumpur for another flight back to Manila. I met Nando’s again after so long back when I was in Ireland few years back. This was also the time to catch up on our pasalubong shopping. Good thing their airports have malls to shop conveniently. Whew! That was a fast 96 hours journeying 3 countries with 8 airport encounters and 3 different hotels from different parts of Asia. Having 10 adults traveling, tagging along 3 kids was indeed a challenge but worth embracing every step of the way. So another year that was. What happened in the 365 days of 2016? January started stressful as a new project starts at work, but nevertheless through Him, all things became possible. 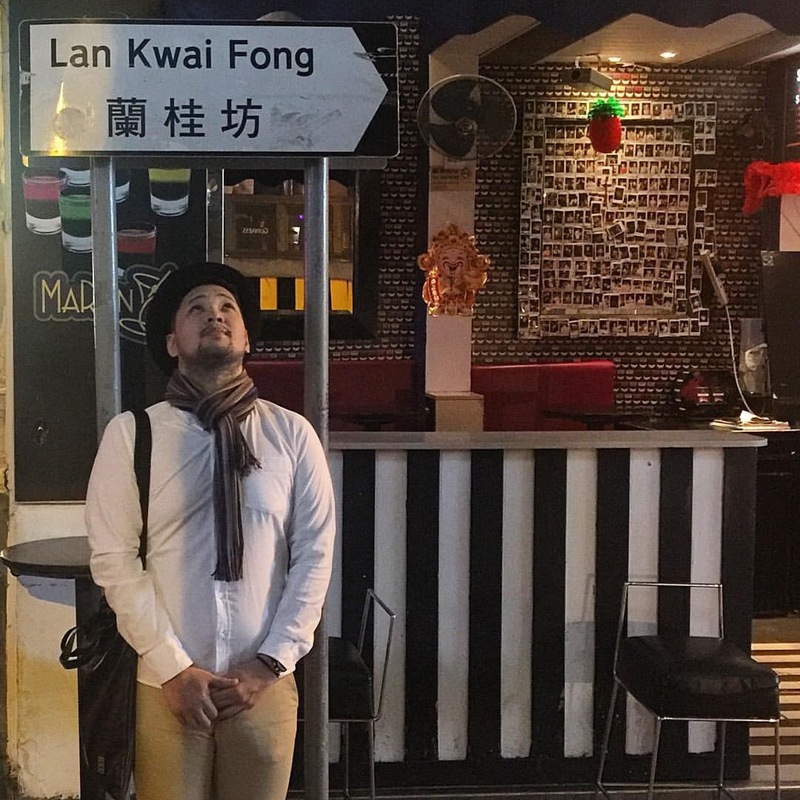 February was highlighted with my comeback travel to Hong kong as I celebrated Chinese New Year in a Chinese territory surrounded by the Chinese race. Ended the month with a quick trip up north to celebrate Panagbenga Festival in Baguio with friends. I can consider March dedicated to my family as we spend some time in the beach, consequently the birth of ‘Saber’ being a blessing from above. A check definitely in my goals for 2016. Also on this month, I was diagnosed with something I have been concealing and denying to myself and acceptance came in as I need to do a maintenance meds horror. April started with summer outings one from another. 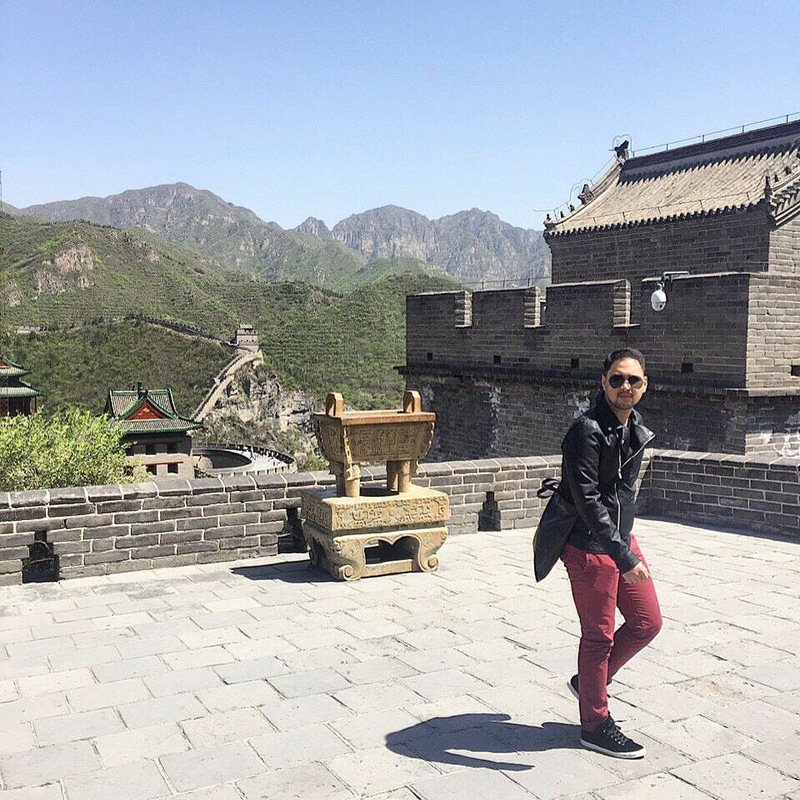 A trip to Beijing definitely helps me check seeing the great wall on my bucket list. 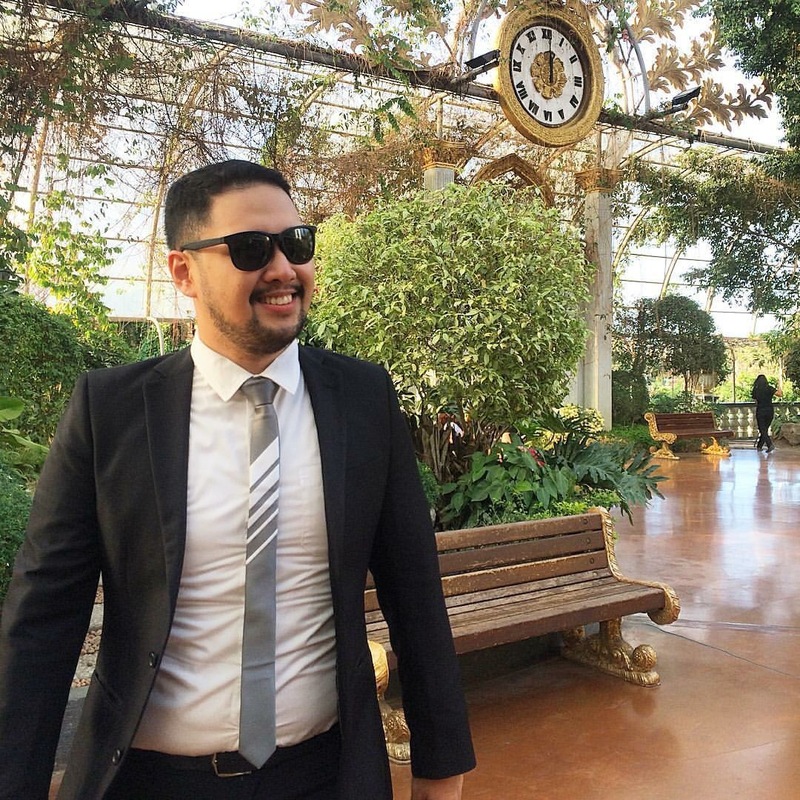 May jumps me into wedding stints as one by one friends are getting married and definitely provided me an alias as the ‘Pambansang Abay’ for hopping from one wedding to another as a sponsor but never a groom. June makes me realise that the health part on my goals for the year is quite far from what it should be. Slowly but surely, I started to keep an eye on it by going back to running and yoga. 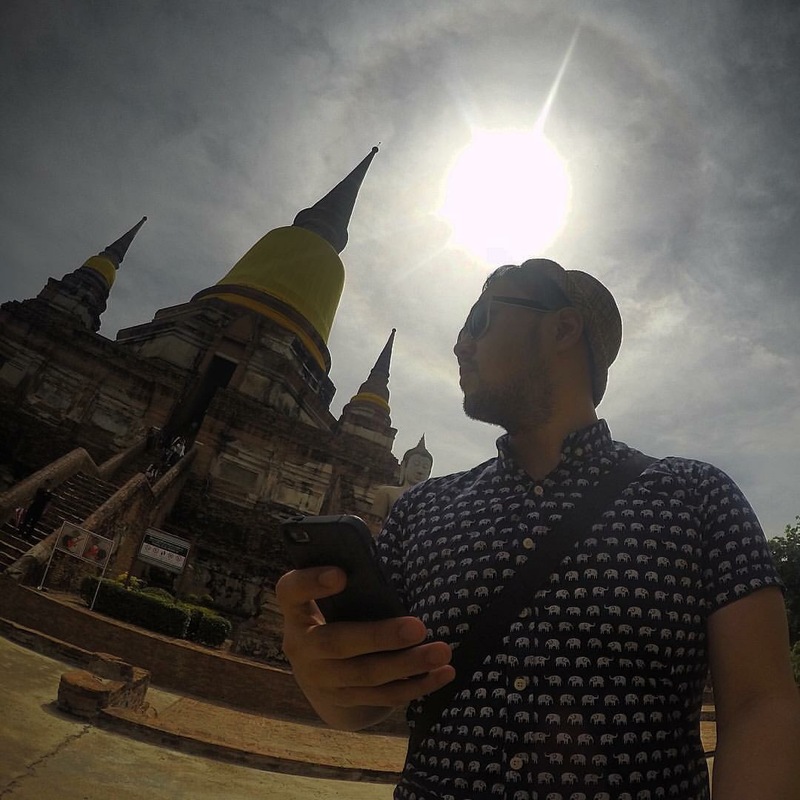 July greatly deserves a break as friends flew to Bangkok visiting the city the second time. 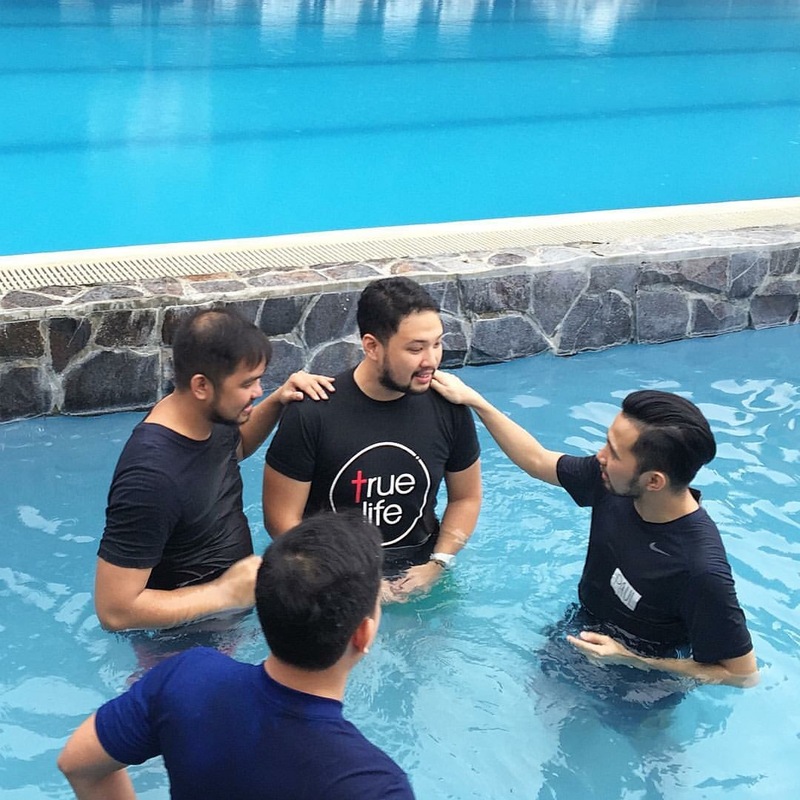 Finale was a start of my journey in seeking our only Saviour, joining a ‘True Life’ retreat. Truly, a life changing experience. August is where I try to search for new activities where in I attempt to proliferate the world of calligraphy. Too bad, my time does not allow me to focus on this. September was for another two weddings to attend to. I started to memorise how every wedding goes. October brought a quick trip to Tagaytay with friends. Great way to rest and recover. Birthday month November brought me to a trip to United Arab Emirates, Dubai and Abu Dhabi to be exact. Meeting friends who are based there makes every stay worthwhile. December is really the season we all have been working for. Promotion from work came in. Indeed, only by His grace, everything through Him. Victory serenades as I hosted the company’s yearend event, loads of parties and get together and prepping for the holidays. In reference to my previous entry and as promised, I am sharing my expenses table during my 8-day stay in Dubai and Abu Dhabi. So how did everything happened by maximising a budgeted money of PHP 30,000, including airfare and all? Check out the breakdown of my expenditures below. Traveling should never be always a splurge. For me, the experience is still what keeps you alive and look forward to traveling. And most of all, having your small circle of friends get tighter as you age, surely every experience and penny spent would be worthwhile. 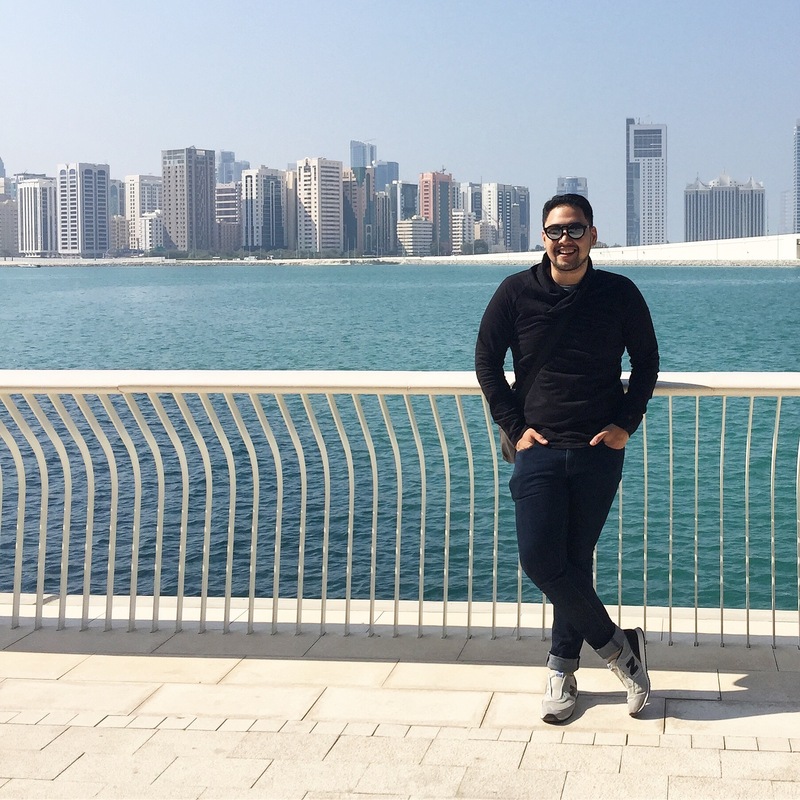 30,000 PHP Dubai-Abu Dhabi Trip, Why not? 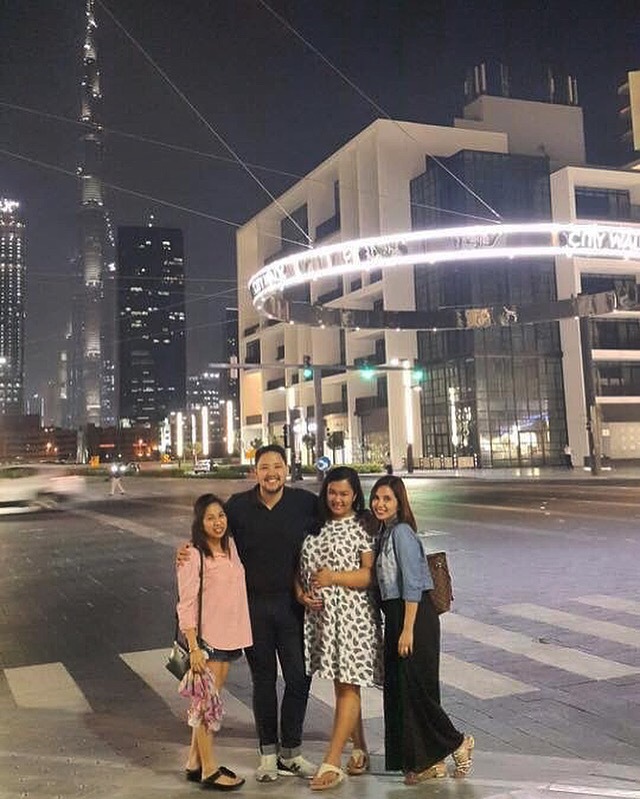 It was just a piece of invitation when friends from around the globe tend to extend their invitations to meet up at one of the progressed city of the Emirates, Dubai. 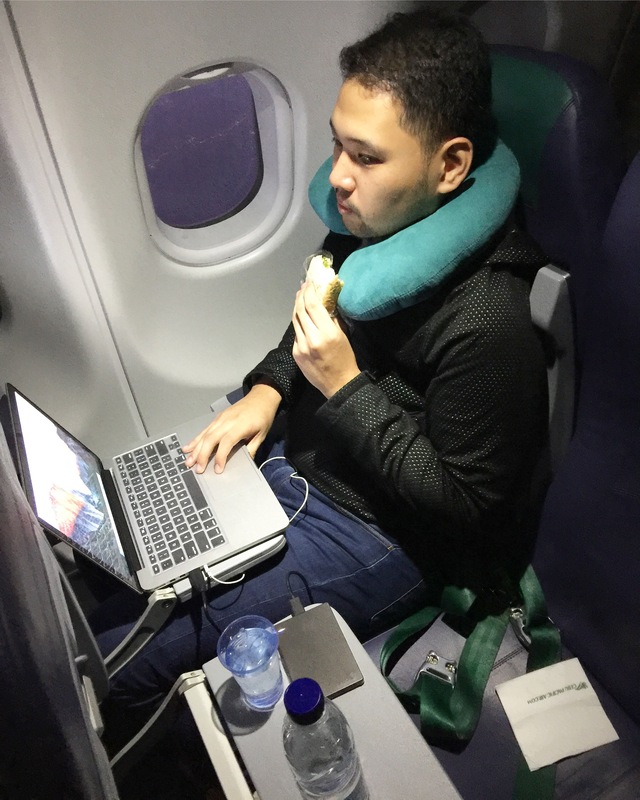 Booking a flight 4 months ahead under the budget friendly carrier, Cebu Pacific Air, taking advantage of their trend-setting ‘seat sale’ was way to efficient to our pockets to get a low cost flight. Journey begins as we touched down Dubai International Airport with my friend fetching us to drive straight to Abu Dhabi to have a good night rest. Day 1 starts as I meet my friends who flew from Jeddah, Saudi Arabia at the City Terminal of Abu Dhabi, in front of Al Wahda Mall. With a 2-hour bus ride crossing through the deserts at 25 AED/per person, buses will drop you in Al Ghubaiba in Dubai. You may walk 5-10 minutes for you to reach the Metro Station but we chose to ride a taxi since no one can lead us to where we want to go. Taxi fares us at around 19 AED for the 4 of us to our pre-booked hotel through Booking.com. 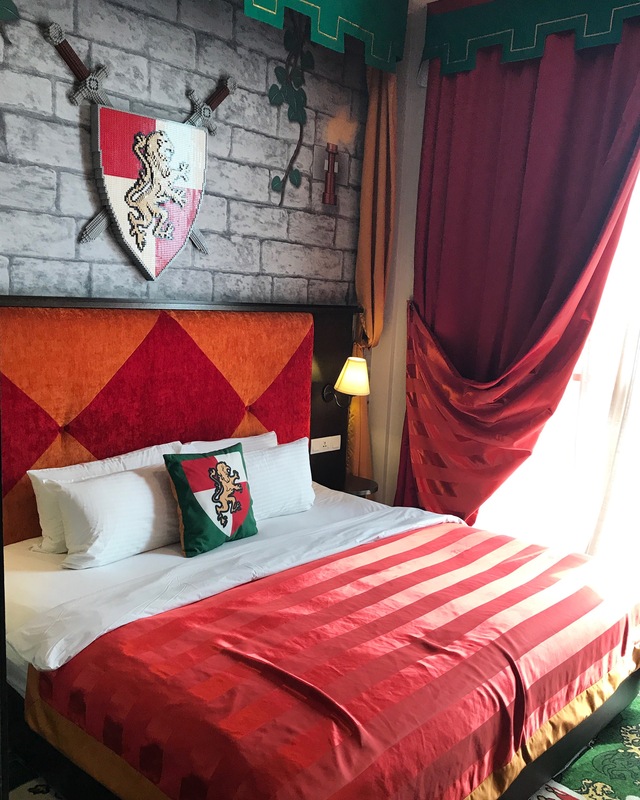 Al Sarab Hotel is located at the heart of Al Rigga, Deira City, around 10 minute walk from the Metro station, which is one of the centre of commercial areas. It was a great savings for us where in we just paid 420 AED/room for 2 nights comparing it to their normal rates at 790 AED/night. As we checked in to our hotel, waiting a wee bit hours as our Dubai friends finish their work, we tend to have our late lunch at a Filipino All-you-can-eat restaurant nearby at 35 AED/person. 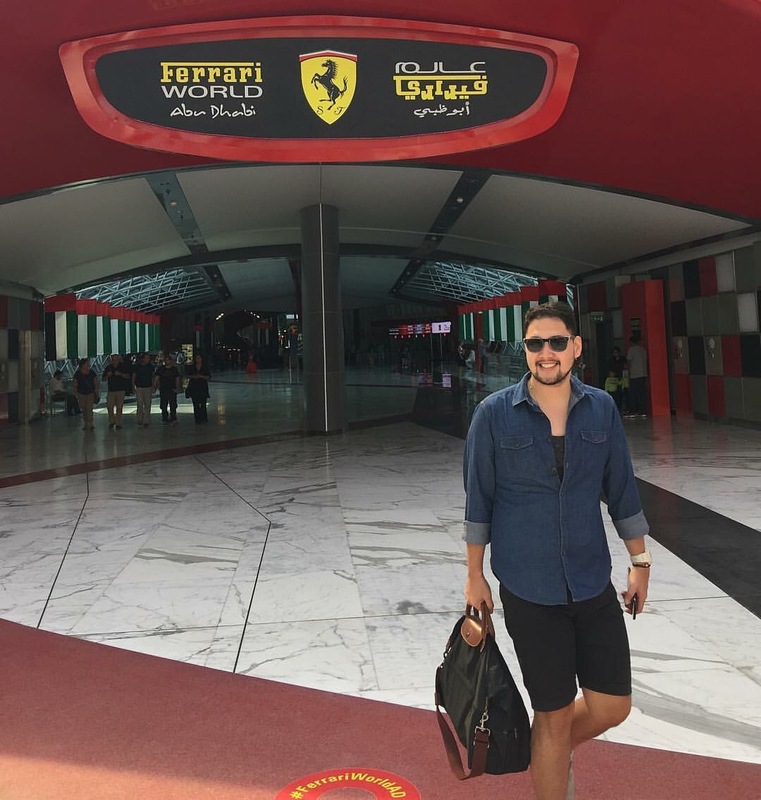 Meeting up at 4pm at the Metro station, we rode the train to Dubai Mall to experience the modernized structures by the Emiratis. Dubai Aquarium, the falls, the souk (‘market’) are the ones to name a few to see here. 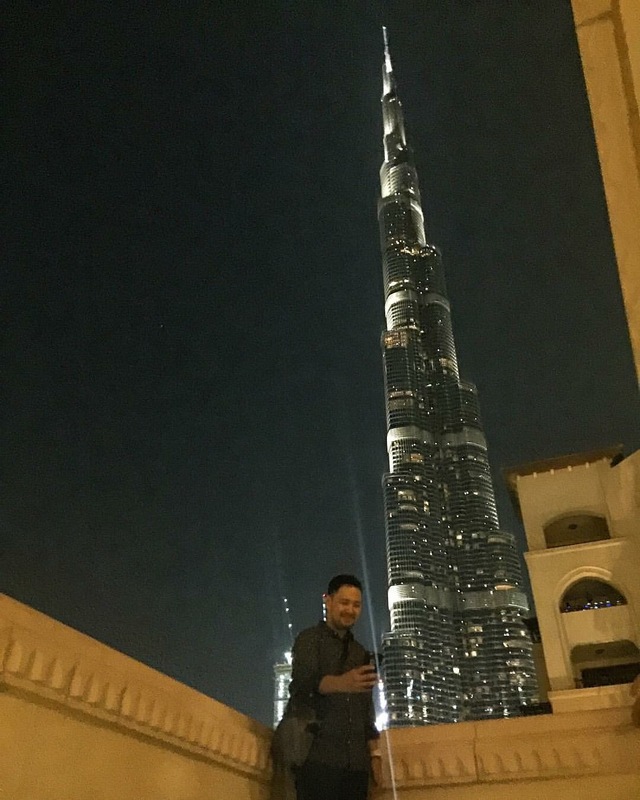 Reaching end point of the mall where you can see the world’s tallest and one of Dubai’s must, Burj Khalifa. Sighting the nearby fountain show every hour really fascinates every tourist’s eye. Walking further is where you will find The Palace Downtown. I would wish I could afford to stay here. Ending our tiresome walking day back to Al Safadi Restaurant, this is just near our hotel. Sipping on our Moroccan Mint Tea and some Khanafa, which is a famous Arabic sweet which are to die for. 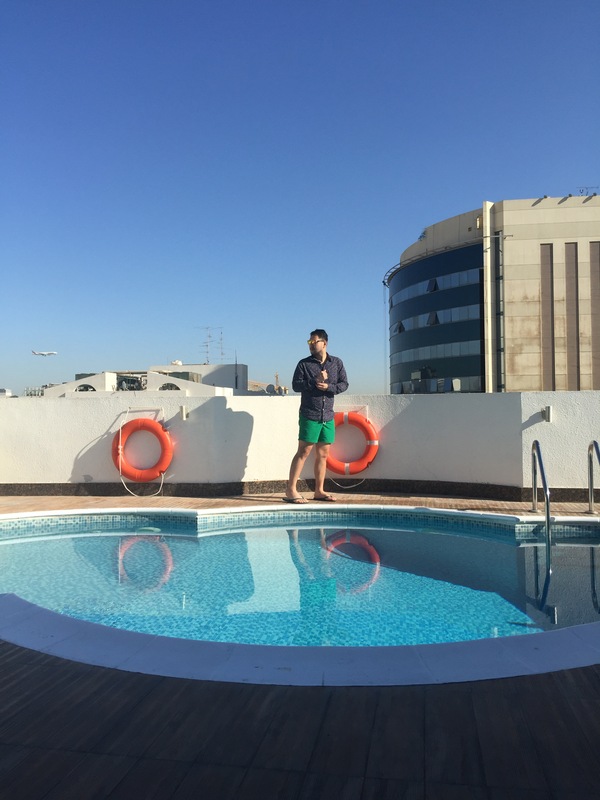 Day 2 started with a quick dip on our hotel’s roof top pool. Meeting up at 10am with the whole gang for breakfast at a Filipino food court style restaurant in Deira City. This long day journey started as we train to Baniyas to ride the Abra, a boat ride to see The Old Souk. 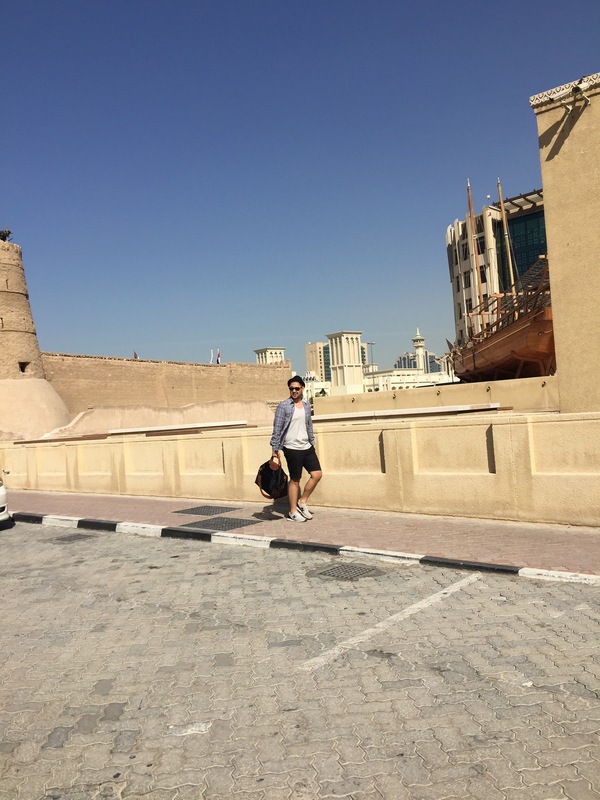 Striding further, as we approach Dubai Museum. With an entrance fee of 3 AED/person, this exemplifies the history and culture of the early Emirates and how they unite. After which we reach the famous Dubai Gold Souk, where great deals of gold are in. We had our shawarma/falafel lunch on a nearby store at 5 AED, and tasted the 1 AED Karak Chai, which is the Arabic version of milk tea. We then rode the train to Mall of Emirates to see the famous Ski Dubai. Long taxi lines kept our patience as we voyage towards the luxurious Burj Al Arab which is just beside the Wild Wadi Dubai. (Note: Burj Al Arab is not open to public unless you have reservation which is really expensive) Adjacent to this is the Jumeirah Hotel in which you can see up close the famous architecture thru its beach stretch. Running to catch the bus back to the Mall of Emirates at 2 AED/person, we rode the train to Dubai Marina and rode the tram to its new structures. The Beach is a new getaway place which friends and family can enjoy. With an array of dine places, movie houses and some more fun activities to enjoy. What a great way to end this very looong day is to lounge around a yacht with some tea and shisha relishing a magnificent view of Dubai Marina. Great to have connections for you to get through this luxury! Another day started as we finally tasted the most intrigued restaurant in Al Rigga that whenever we try to go, long lines are waiting. We had our brunch at the Sandwich Club, a very nice and affordable restaurant. 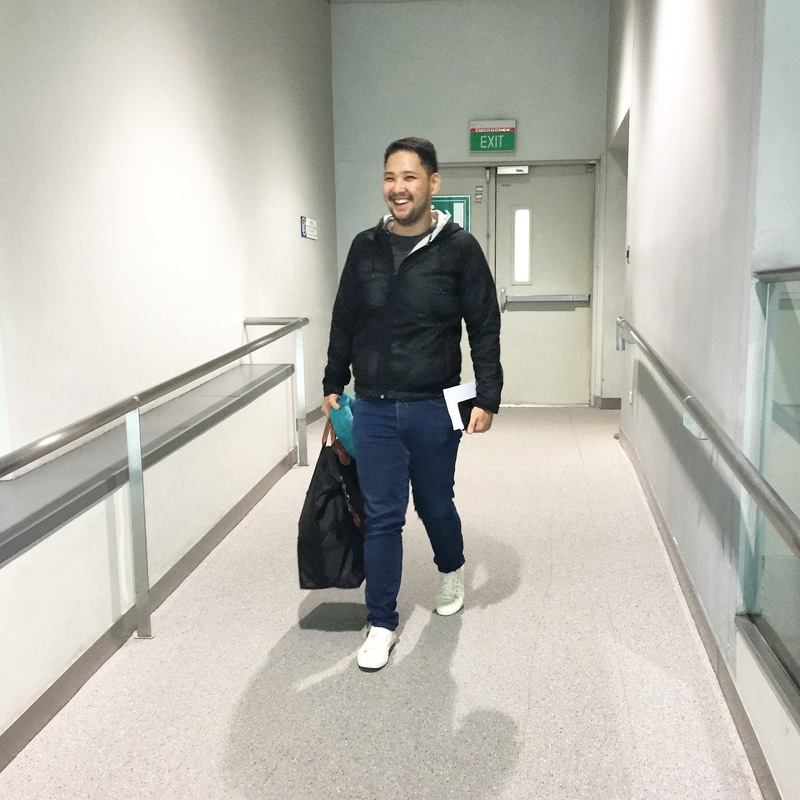 We quickly finished our pasalubong shopping in a nearby Al Ghurair Mall. 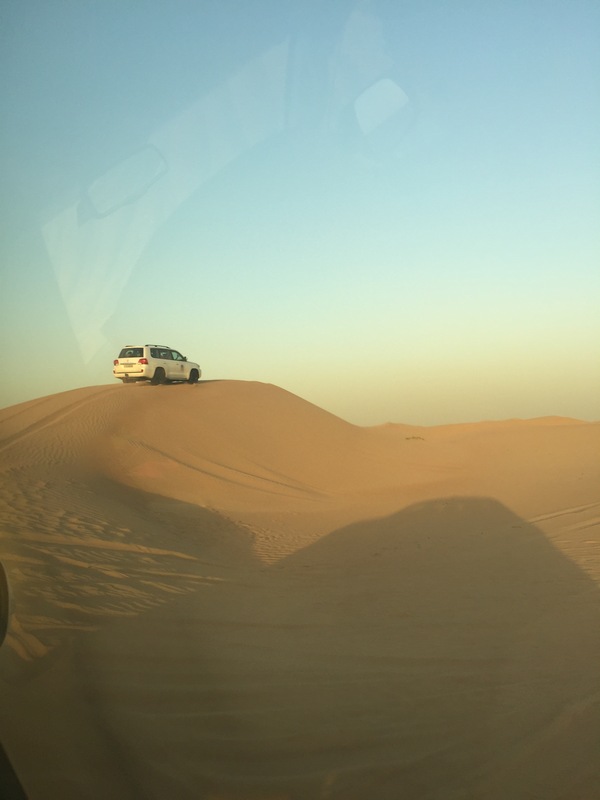 Pre booked in advance, we paid 110 AED for our Desert Safari experience. This includes Transportation (which we are picked up in our hotel at 3pm and returned after), Dune Bashing, Camel ride, Arabic night show and buffet dinner. 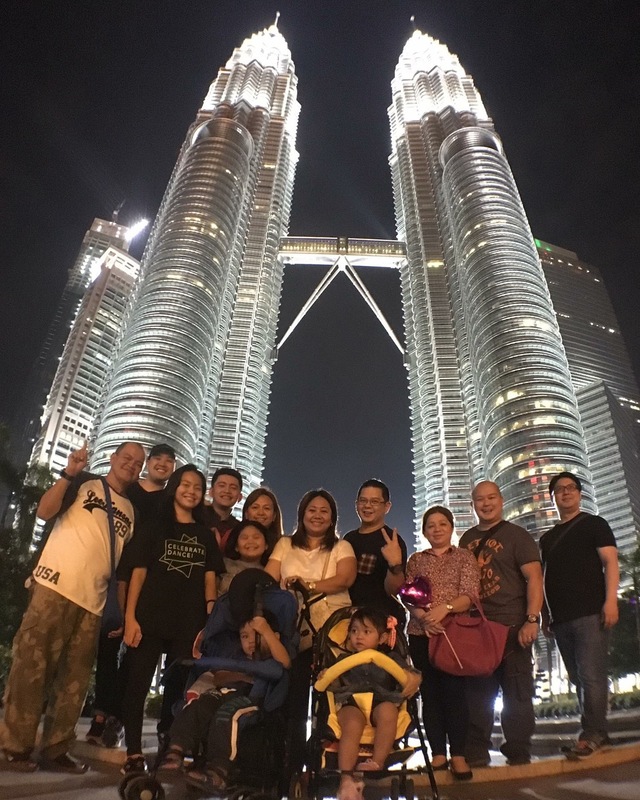 It was an awesome experience that we enjoyed desserts of Dubai having a great conversation with our ‘Kabayan’ driver, whom he also drove for Kris Aquino and Kara David when they visited. Rushing back to Al Ghubaiba as we try to take the last bus to Abu Dhabi and bid farewell for some time to Dubai. 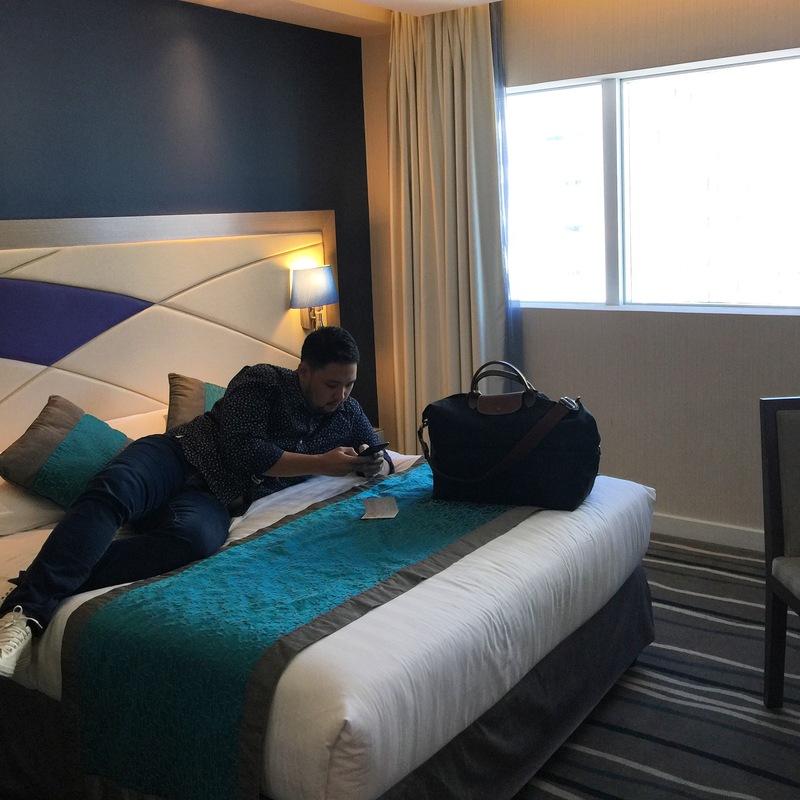 Staying in my friend’s accommodation in Abu Dhabi was indeed a great savings for our pocket and time to bond with my ever missed friends. The time spent here is mostly of catching up with friends, digesting their success stories and struggles as they venture into their new lives away from home. 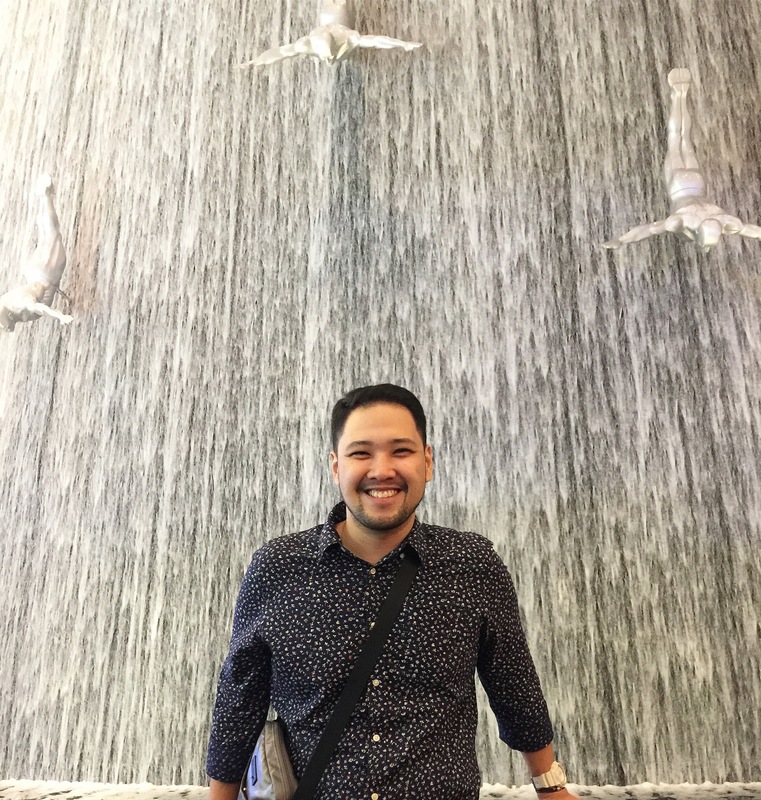 Day one here in the capital city started being fascinated with the The Galleria, a mall with high end shops adding up the view of the high rise building while taking a sip of coffee in Armani Café as I caught up with my friend from my previous work. Traveling by taxi to Al Wahda Mall which is one of the shopping heavens for sale items are here and there. We ended our day celebrating with our friends over dinner and laughs in their accommodation in Al Reem Island. 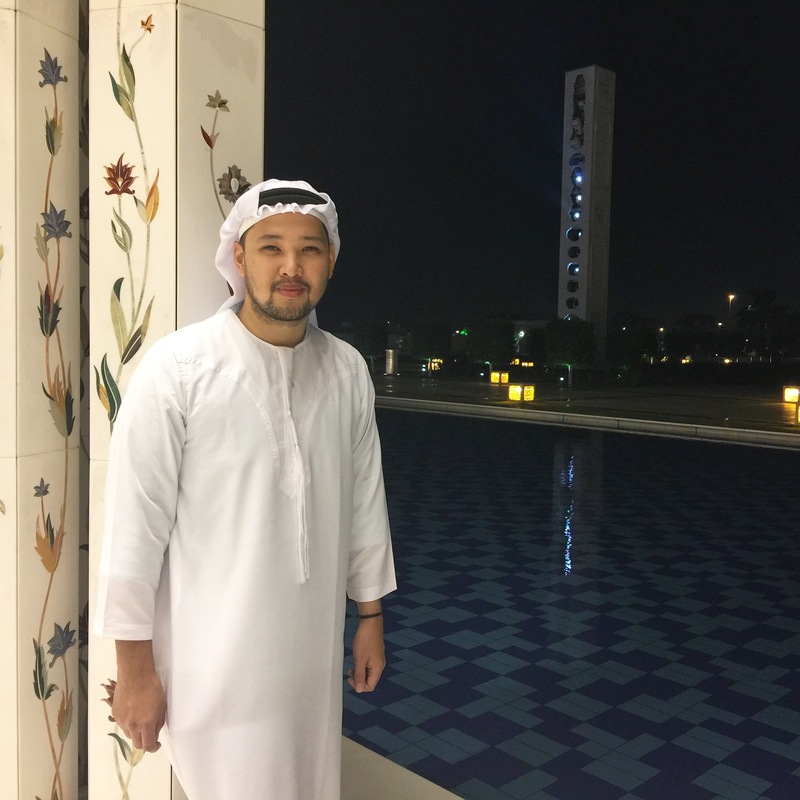 Fortunately they got a nice place which was sponsored by their employers, unlikely not for other OFW brothers and sisters since renting a place in Abu Dhabi is really one of the top expenses living in. Another day to explore the city has started since my friend is off from work, she can tour us around. We travelled by taxi to Saadiyat Beach to experience the sands and sea of UAE. 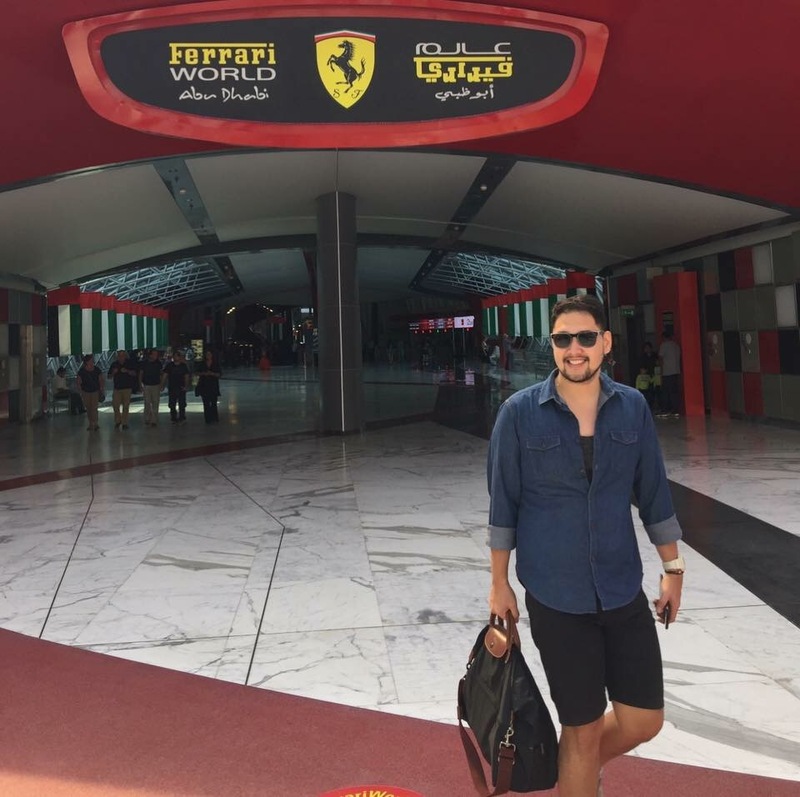 Unfortunately, there was an event on going so we changed our plans and re-route to Yas Mall to tick Ferrari World on the itinerary. Free Entrance during Thursdays, Fridays and Saturdays. We ate at Rogo’s Rollercoaster Restaurant in which your food goes through the loops and grind upon serving. Amazing idea indeed! We had some desserts thereafter at the famous Cheesecake Factory. A slice cost 34 AED which is not bad for a mouth-watering experience. 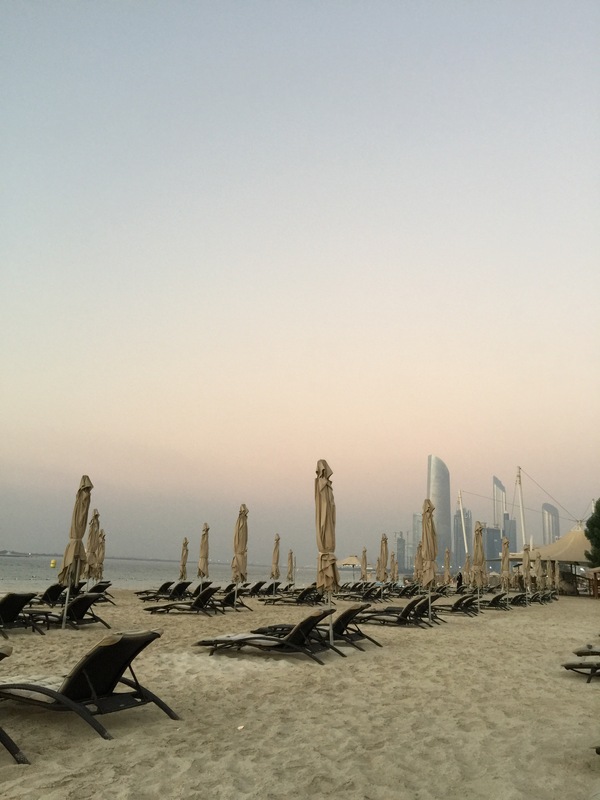 Since we still itch for a beach experience, we then resort to Corniche Beach which has an entrance fee of 10 AED, but you can still enjoy their public beach for free if you want. After which, we proceeded to the Marina Mall and climbed to its tower to have a view of the city. They privatized their observatory and converted it to a coffee shop and have some refreshment to see a great view. I can’t believe that I am in the Emirates for a week and starting my day 7 to meet some friends at the World Trade Centre. Finally, I tasted the famous Shake Shack burger. The ‘Shroom burger is too die for! The lunch was followed by some coffee session meeting another friend. It was really great catching up with friends realizing their new lives abroad. My friend rented a van for us to explore the city with the whole gang. 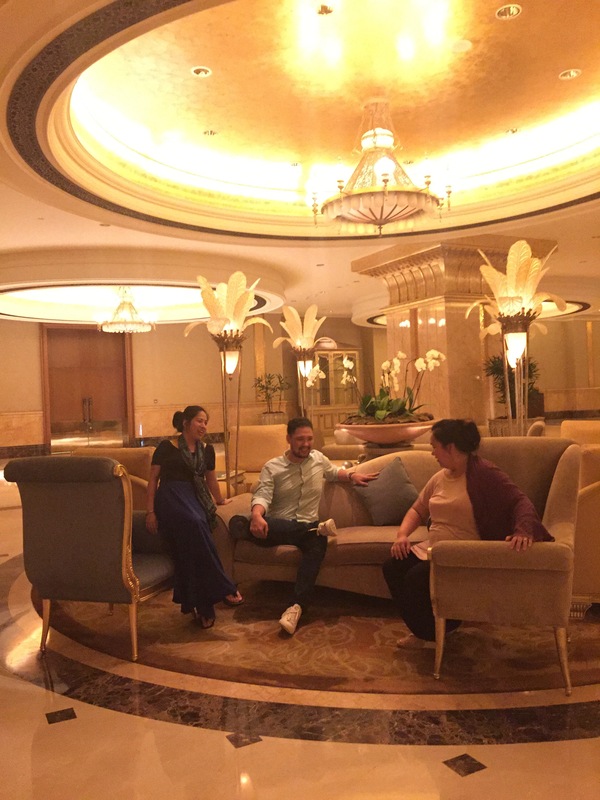 And so they picked us up and went straight to the Emirates Palace which is the 7 star hotel. Embellishments and grandeur has been exhibited in this place. 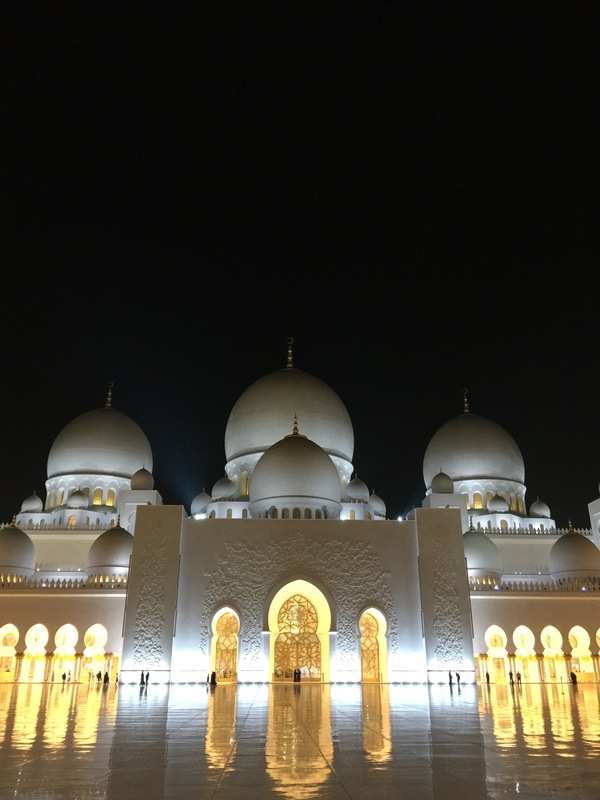 After which, we went to the Grand Mosque in honour of Sheik Zayed. Architecture was just perfect in all angles. Females must wear long sleeves and pants with abaya to enter. On the other hand, males should not be wearing shorts above the knee. Anyway, they have clothing to rent at the basement for you to be admitted. It was actually my dream to wear one of the everyday outfits of Emirati males which is a ‘kandora’. And so I did together with the help of my supportive friend. 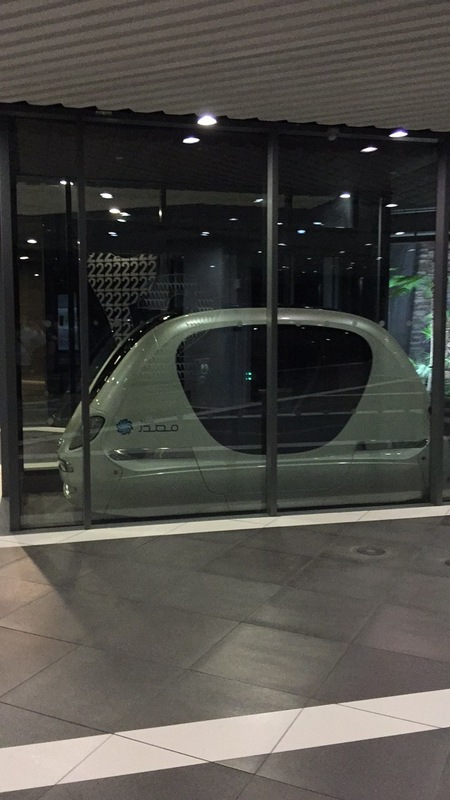 We then proceeded to the Masdar City which is said to be the source of the future of Emirates. Everything here is solar powered and they try to recycle as much as they can. The PRT (Personal Rapid Transit) is said to be one project that the government is looking as a good transportation in the future. We tried to ride this and it was just amazing. Lastly, to cap of the night, we went back to the city and headed to Al Wahda Mall to have our late dinner in Olive Garden. 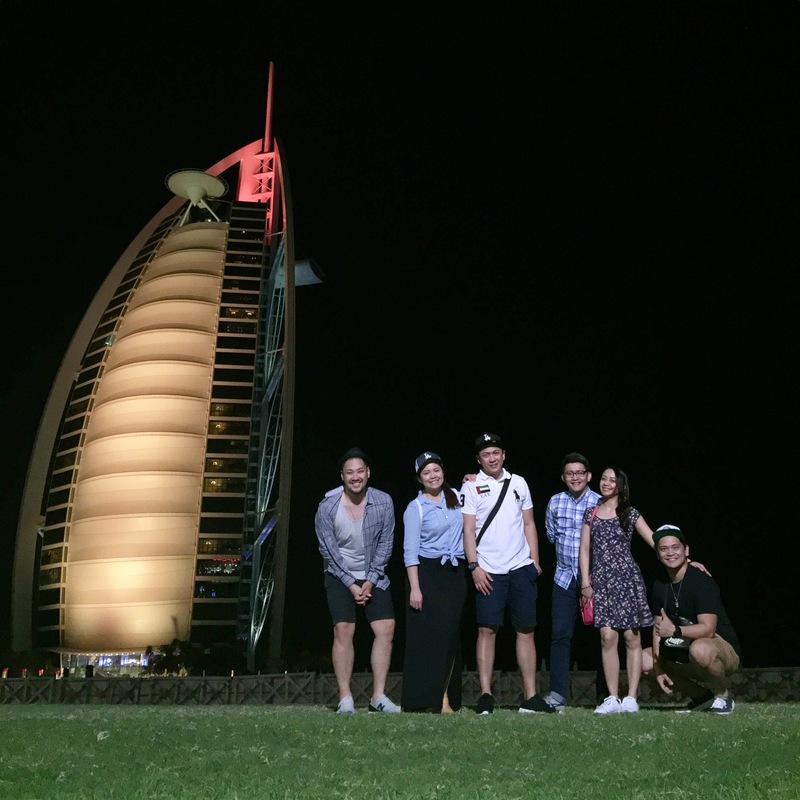 It was our last day to explore the city and to go back to Dubai since we are having the evening flight back to Manila. And so the gang is up again and travelled to Dubai. Our first stop is the Last Exit which is usually the stop over for those who are travelling from Abu Dhabi to Dubai. We had a quick lunch there and proceeded to the Dubai Parks. 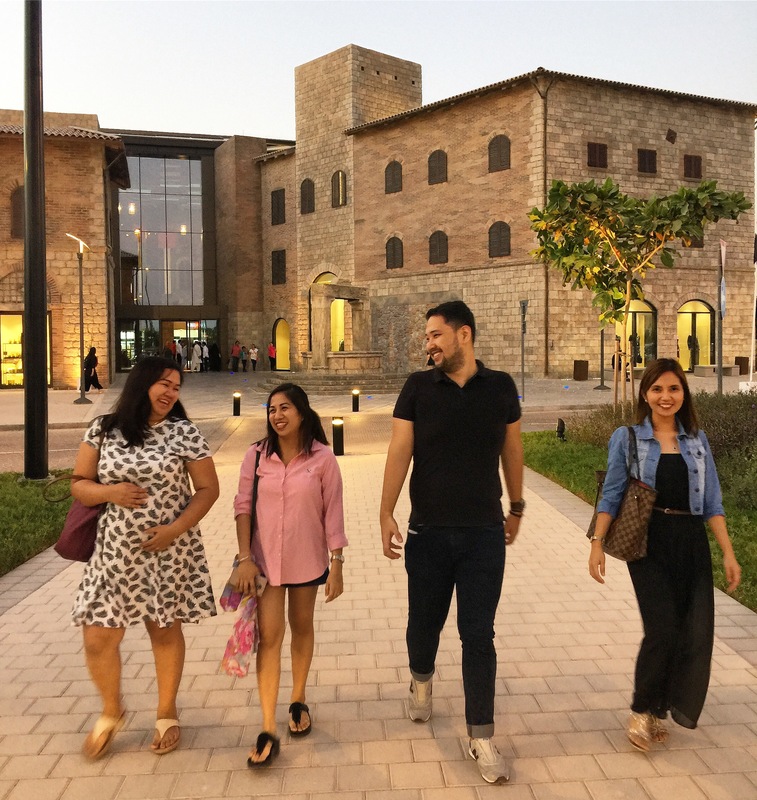 Apparently, since the parking is quite expensive just to see the Lego Land and other attractions, we decided not to go and just go to the Outlet Village instead to do our last minute shopping. We were welcomed with quite a jam of traffic as we enter Dubai. So we then drove to Dubai City Walk, which is one of the newest attractions in Dubai, followed by our last dinner in a Chinese restaurant, Chin Chin before heading to Dubai International Airport. 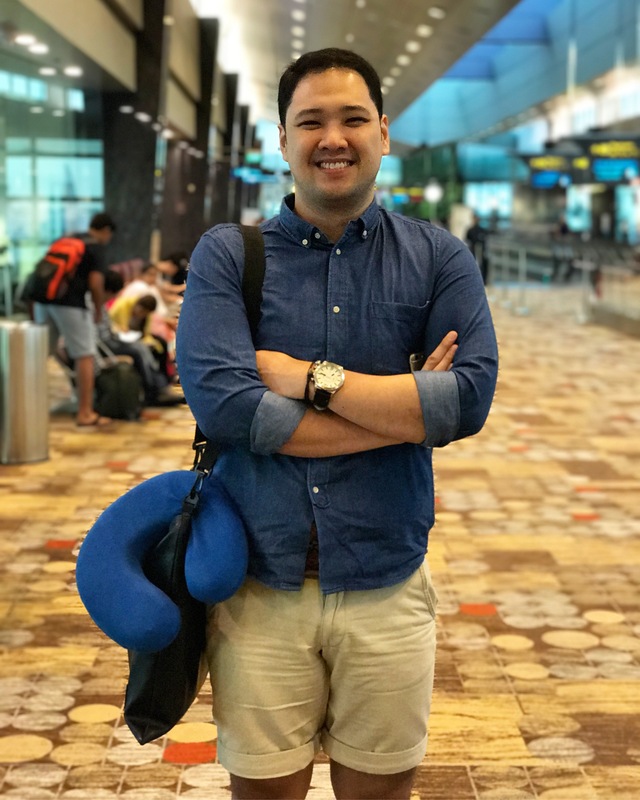 To date, this is the most body tiring yet a mind resting travel that I did since mostly I did not research anything with our itinerary and my friends provided us and pampered as much as they can to be with me concurrently with their work. 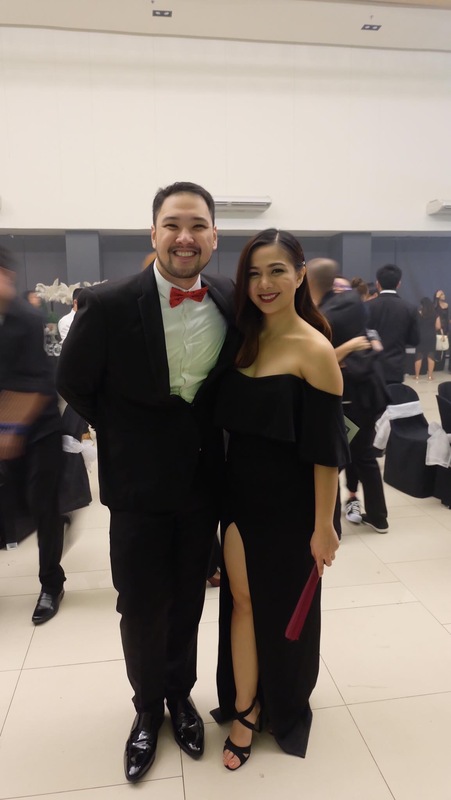 It was indeed an amazing experience that the bonds of your friendship strengthen as you share both your stories on how successes are not easily attained. 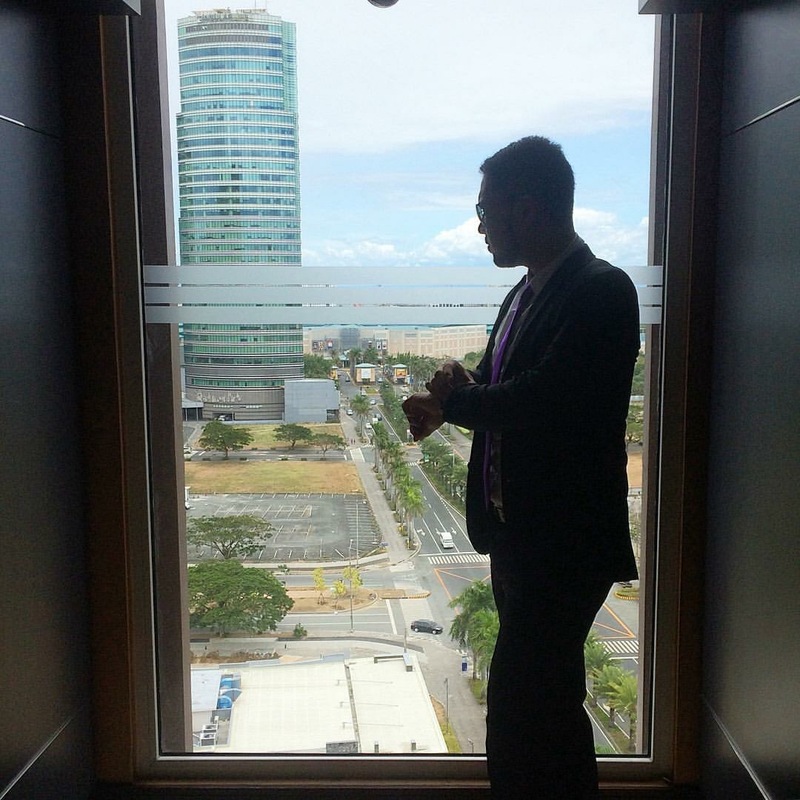 It was an incredible journey how the stories of Filipinos abroad were really not easy but for us to achieve our goals, a lot of sacrifices are being offered.